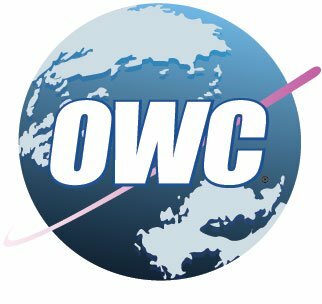 Other World Computing (also known as OWC) was founded in 1988 in the founder’s parent’s barn. They began by selling memory chips online, and shifted their priorities to computers in 1992. They began selling hard drives to consumers. The expansion continued and in 2003 they released a series of external storage solutions. OWC has always catered primarily to the Apple market, advertising an iPod battery replacement offer and drives to accompany Mac products. In 2009, they broadened their storage line with the introduction of their first desktop RAID storage. For them, sales are consistently soaring and the company seems to be in constant growth. Despite their quality product, OWC drives may fail from time to time. They can suffer from both logical and physical issues. Logical issues can include accidentally deleting files, reformatting the drive or partition, acquiring a virus or some type of malware, or improper installation. When the drives suffer from physical damage, the HDDs will typically make a clicking or ticking noise. They may buzz and attempt to spin, but fail to boot. No matter what, if you hear any unusual noises coming from your device, you must turn it off immediately. Continuing use of the drive can cause further damage or permanent data loss, as well as make the recovery process significantly more difficult. Normally, you have but one chance to recover data from a damaged drive, so don’t settle for anything less than the best. Here at Platinum Data Recovery, we recover information from crashed hard drives on a daily basis and have maintained a 95% success rate. Our experts have been in the business for over 15 years and are prepared to do whatever necessary to make sure you get your data returned to you. We have onsite and ISO 5 Class 100 Certified clean room, allowing them to open your device in a safe and secure manner. We ensure that every one of our clients receive the highest attention and customer care. Don’t put your precious information at risk – Call Platinum Data Recovery today!